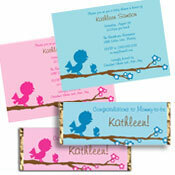 custom personalized baby shower party supplies are the perfect choice for your baby shower invitation and party favors. 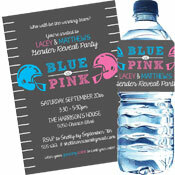 Our themes, our baby shower invitations, party favors and shower decorations all focus on that single goal: making the Mommy to be a star for a day. 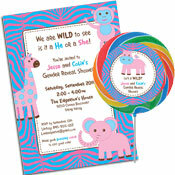 Give your guests a creative baby shower favor. Customize with your wording and add photos. Personalized decorations will add the perfect touch to your celebration.